Have you ever felt stressed at your workplace? It happens to you sometimes, does not it? No matter if you have a full time job in a physically based office or job as a free-lance Virtual Assistant. Each one of us falls into countless stressful situations at the workplace due to different reasons: the boss is everywhere around you; he changes his requirements many times; he is unsatisfied all the time. The stress factor may have a negative impact over your working capacity and good spirit. The stress is defined as physical, chemical and emotional factor which leads to brain and body tension. It could be the main reason for any illness. People spend the biggest part of their lives at their workplace. Due to that reason if one is not successful at work, he is not successful in other spheres as well. If you are stressed at work, your spirit is always there, despite the fact that your body is at home and you are supposed to have rest and fun with your family. That’s why it is necessary to manage the stress in your workplace. It will have a positive impact on our health, mind, mood and private life. The potential of the human body is not unlimited as much as you want. You often overload yourself while putting all your efforts in having your job done on time. Being on the rush, having urgent and short deadlines set by your boss, as well as the high requirements could make you nervous, cause you mental breakdown and stress in the workplace. – increased use of alcohol and other drugs, etc. There are people who accept stress as a motivating factor. For this type of people work under pressure, deadlines and demanding boss are factors that motivate them to give the best out of them to succeed. They do not look at the obstacle as a reason for stress. It is a positive challenge to them to discover an alternative way to overcome it. Of course, there are situation at your workplace when stress is not that much to burden you. It helps you spend your energy properly so that it serves for constructive purposes. You just should be careful with the levels of the stress you can endure and not let it turn into a constant pressure. It is not preferable to stay constantly under stress whether it motivates you or not, because it could cause you serious health problems. The best way to manage stress is to find a job which is your hobby. If you find a job that you love and feel pleasure while doing it, it will not be necessary to work even a day. When you like your profession, you are qualified to do it, you work it with great joy and pleasure. As a result, the stress will be the last thing to think about. 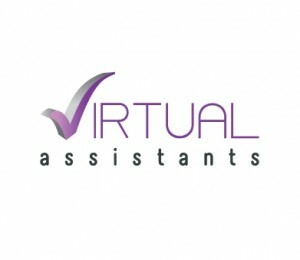 Is it nice or stressful to work as a Virtual Assistant? The profession of the Virtual Assistant gives you unlimited possibilities to freelyy plan your workday, to choose the work tasks you are assigned to according to your interests and qualification, the place and time of working. It gives you freedom in decision making and develpos your potential for creative thinking. The Virtual Assistant is able to work without the direct supervision of the boss and the results are the only indicators of the quality of his work. It gives you the opportunity to spend more time for your favorite activities, to be with your family and to increase our qualification.